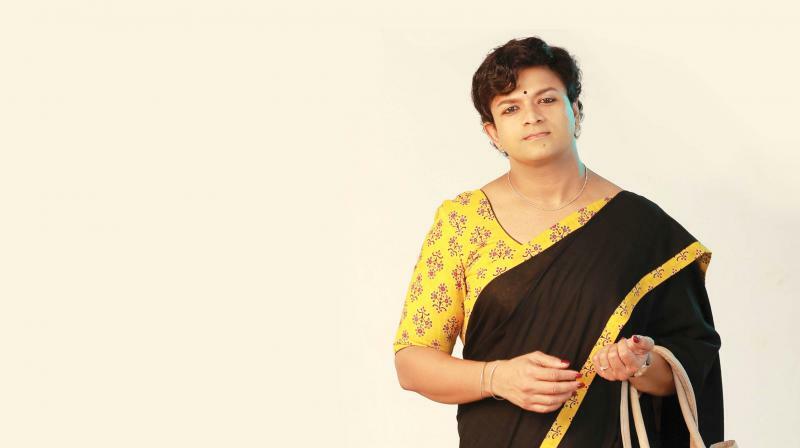 Jayasurya’s winning hearts for his moving portrayal of a transwoman in Njan Marykutty. It is when the actor has been able to channel the writer’s creativity as well as the director’s vision and provide unseen insights into the character that the character rises above the actor. Jayasurya did the impossible by taking on the challenge of playing a transwoman Marykutty and bestowing her with grace, dignity and eloquence — traits not normally depicted in mainstream films. It took Marykutty of Njan Marykutty, directed by friend and associate Ranjith Sankar — their fifth outing— to rewrite the attitude of society towards transpersons. In one of the initial scenes of Njan Marykutty, we see Marykutty consigning photos of his male persona Mathukutty to the flames. In a way, it is symbolic. It is a shedding of Jayasurya’s persona and the birth of Marykutty — the character who never allows a glimpse of Jayasurya throughout the film. The actor is winning rave reviews from admirers and critics alike but he is treating all the accolades with equanimity. “I was chosen to be used as a tool for Marykutty to portray the struggles and challenges the community faces. This community has often been painted in a bad light, depicted as thieves and prostitutes. Marykutty was the person chosen to change that perspective,” he simply states. Jayasurya mentions that Njan Marykutty actually started off in a humorous vein but as the script evolved so did Marykutty and the film became intense. The mannerisms of Marykutty can only be termed as classy — be it her pastel costumes, her mannerisms and her emotions — a far cry from how transpersons have been depicted. How she clasps the pallu of her saree close to her or the way she smiles with those painted fingers to her lips hint at the amount of homework involved. Jayasurya states it would be impossible to imitate the transgender persons he met as part of his preparations and explains why. “I spent limited time interacting with them in coffee shops and what I see are their smiling faces. Where do I see their sorrows, their emotional moments, and their happiness when they get their ID cards or letters in their name? Can I copy those emotions? I can only collect their life experiences of community, family and society shunning them and hear their struggles, which are almost the same,” he reasons. After interacting with many from the community, the actor shares a fact he learnt, “Society has clipped their wings; it is not that they do not try to fly! They start to take flight and immediately their wings are cut. Added to that are rebukes, taunts, jokes and lack of support from their own families.” But it is here that Marykutty stands out. She is a woman who has a spine of steel that does not buckle in the face of continuous mental assaults, which only make her resolve stronger. She has a dream and she never loses sight of that. Marykutty is no doubt a winner but how challenging was it for Jayasurya to turn into Marykutty? He candidly discloses that the first thought that came to his mind was how the audience would perceive him as a woman. “But I pushed those thoughts aside when I started believing in Marykutty. Donning a saree was the most challenging part. To get comfortable in the attire, I donned it at home for many days prior to the shoot. That made me get the hang of the saree and the mannerisms involved with that,” he says. By the time the shoot was winding down, Jayasurya could change into a saree in under seven minutes. He says, “There were 56 saree changes throughout the film and sometimes I had to change sarees eight times in a day. My wife Saritha helped me drape them.” Incidentally, it is Saritha who has designed all the sarees in tune with Marykutty’s state of mind — a fact Jayasurya proudly proclaims. Marykutty has been accepted but Jayasurya reveals there was a moment when he contemplated packing up, out of the sheer frustration of not been able to grasp Marykutty. He explains, “By the third day of the shoot, I understood I was not getting into the skin of Marykutty; Ranjith was also not happy and I thought I might as well pack up. I sat in my car and cried and even asked Ranjith to get some other actor to do the role. Our sets are normally jovialbut this location had a solemn atmosphere. So on the night of the third day, Ranjith and I had a discussion about what was wrong and that talk put things into perspective. By the fourth day, Marykutty fell into place and we re-shot the complete portions of the earlier three days. I call it divine intervention. Today, I take pride that for the first time a motivational film based on a transwoman has been made,” he says.